Home / News / Annual Christmas Dinner Buffet. 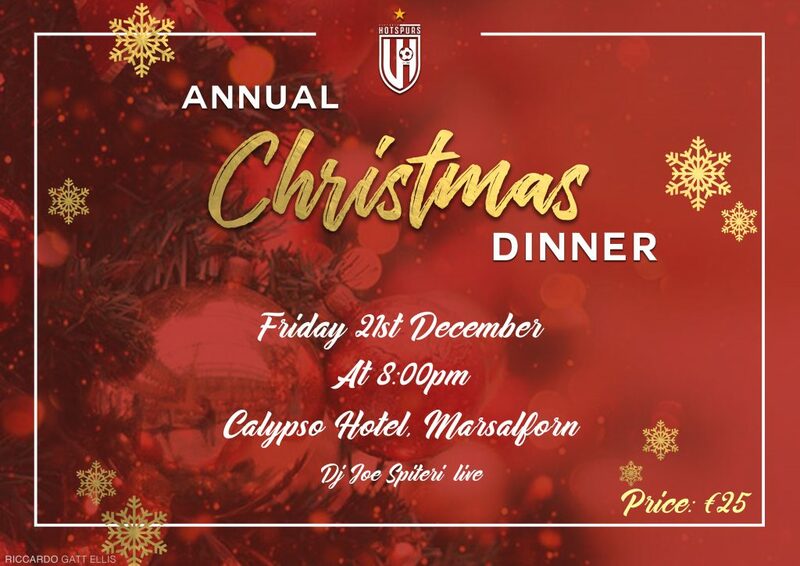 Victoria Hotspurs FC, would like to invite all the club’s supporters to the Annual Christmas Dinner Buffet which will be held at ‘Hotel Calypso’, on Friday 21st December from 20:00 onwards. This will be an opportunity for the supporters to meet the players, technical staff, and committee members, while enjoying good food, and live entertainment. Tickets for the Dinner Buffet are at 25 Euro for Adults and at 15 Euro for children under the 12 years of age.